Brandon Sanderson is one of my favorite authors. His book vary in quality, but I like all of them on some level. But his novellas are always amazing. He takes all his worldbuilding ability and focuses it into the perfect little package. Legion and Legion: Skin Deep are two of his novellas that I recently re-read and loved. These are more modern than most of his other novels. It's not sci-fi or fantasy. 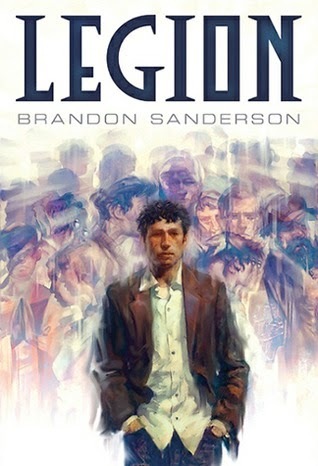 The main character in Legion has an interesting psychological disorder where his skills manifest to him as imaginary people. He doesn't have typical multiple personality disorder, he actually sees and interacts with his various aspects all the while knowing that they are imaginary. He's found a balance that works for him and his aspects let me retain a ton of skills and abilities. They great novellas and fantastic in audio book form since each aspect gets their own voice. It truly adds a level of depth to the story when listening to it. The two books in the series are available right now and I read them back-to-back. I would highly recommend them to anyone. I especially recommend the audiobook version of these. I didn't realize there was a 2nd Legion...... off to Amazon I go!